Keep income tax returns and the supporting paperwork for at least three years. 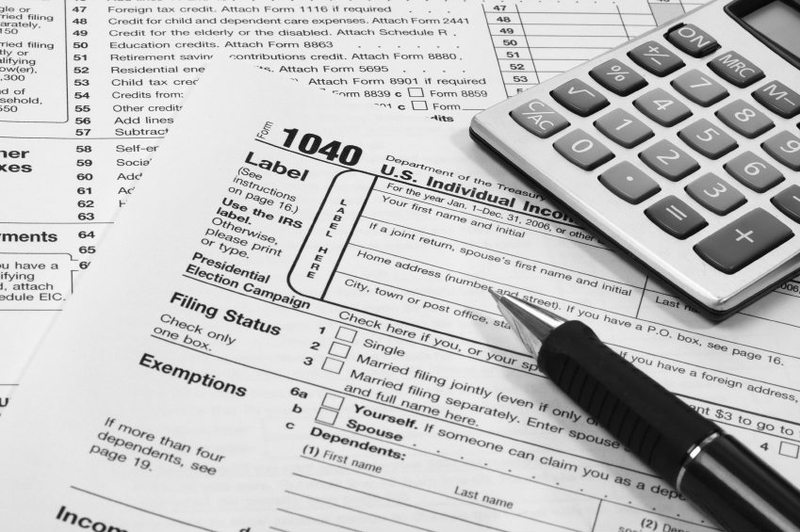 For most of us, the drudgery of tax filing season has drawn to a merciful close. Now what do you do with all that paperwork? In general, taxpayers should keep a copy of their tax returns and supporting documents – everything from receipts for charitable donations to mileage logs to paperwork showing payments for mortgage interest and property taxes – for a minimum of three years from the tax-filing deadline. Typically, that’s how long the Internal Revenue Service has to initiate an audit. The agency has longer, generally up to six years, to initiate an audit in cases of fraud – say, when a taxpayer fails to report a big chunk of income. “Enrolled agents say keep all tax records for seven years just to be safe,” said Kim Lankford, contributing editor and columnist with Kiplinger’s Personal Finance magazine. Lankford recommends keeping actual tax returns indefinitely, which includes 1040 forms and main supporting forms such as Schedule A for itemized deductions and Schedule B for interest and dividend income. Keeping those documents could help in a jam, she said. “They can provide clues to all kinds of things years in the future for things you might not have thought of,” she said. For example, applying for disability insurance or a mortgage may require records verifying income going back a number of years. “(Historical) information that you can get from the IRS is limited,” she said. Lankford said keeping old tax returns helped one of her colleagues successfully contest her Social Security benefits statement. “It showed she hadn’t earned as much as she had in one year. She was able to produce her very old tax form and get credit,” Lankford said. People who don’t want to keep any paper records can scan the originals and keep them in a digital archive, she noted. While most supporting tax documents can be safely pitched within three to six years, there are some that should be kept longer. Those include records relating to real estate, stock and mutual fund transactions, retirement accounts and business or rental property that help set a cost basis. For example, it’s good practice to keep records of the purchase price of a home and the cost of any major home improvements. “You generally aren’t taxed on home-sales profits if you’ve lived in the home for at least two of the past five years and your profit is less than $250,000 if single or $500,000 if married filing jointly,” Lankford said. But for anyone living in a home for a shorter time or having a bigger profit, adding major home improvements – not basic repairs – to the cost basis of the home can reduce the taxable gain. Anyone getting ready to throw out tax-related or other personal documents should take care to do it the right way to limit their exposure to identity theft. The IRS recommends that paper documents get cross-cut shredded into strips not exceeding 5/16 inch wide, or burned. For magnetic records, the agency generally recommends a combination of overwriting and degaussing, followed by incinerating, shredding, pulverizing or grinding. One option besides using a home shredder is to take advantage of special shredding days offered in some communities around tax time, Lankford said. This year as in past years, Office Depot is offering a coupon to shred up to 5 pounds of documents for free through Tuesday. A pound of paper is roughly 1/2-inch thick. Coupons are available online, although some stores don’t require the coupon. For more details about what to keep and what to pitch, see IRS Publication 552, Recordkeeping for Individuals, available at IRS.gov or by calling 800-829-3676.